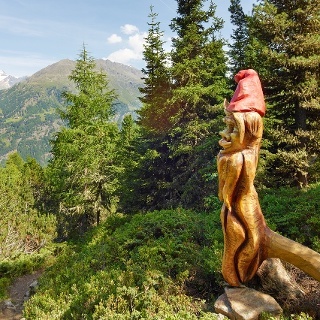 This is a more leisurely tour following the picturesque "Mooserstegle" water walk, an exciting hike for families with a couple of ALMZEIT theme station where you'll find "Peaceand Silence". 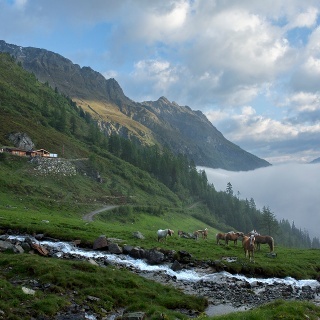 From this lovely route you can easily access several mountain huts and inns. Quality route according to "Österreichisches Wandergütesiegel"
In the past, the so-called "Waal" water trails were man-made irrigation ditches for providing the Alpine fields and pastures with enough water. Still today, some of them are used by the local farmers. For our ancestors these "Waalweg" trails were essential for cultivating their meadows and fields. Water, the element which has shaped the Ötztal valley. The glaciers are melted by the sunshine, releasing fresh water which feeds into the meadows and the Ötztaler Ache river which winds its way along the 65 km long valley. The Ötztaler Ache catchment area extends over 893 km² with an elevation from 700 to 3,774 m. This glacial meltwater fills the reservoir used by the local population and provides a supply of drinking water. Glaciers store ¾ of the world’s freshwater reserves and therefore represent the biggest natural waterstorage in the world. 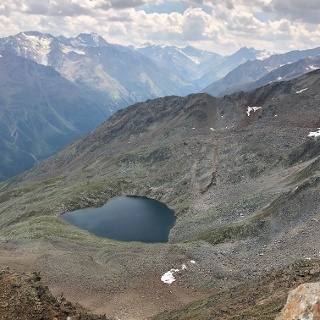 In the year 1770, the advancing ice dammed many of the big lakes here which triggered catastrophic flooding across the entire Ötztal and Inntal regions when they burst their banks. Natural hazards and disaster made people want to know more about and better understand nature, which also facilitated glacier research. The many facets of water in the Ötztal is not just of interest for scientists. 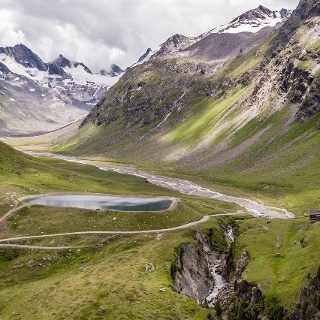 The Ötztal glaciers are recreational destinations for locals and guests alike as these ice worlds offer great hiking and skiing in surroundings of outstanding natural beauty. Crystal clear river waters swollen by icy glacier meltwater make for superb rafting, white water canoeing and other action-packed activities. Enjoy peace and silence on this Premium Trail amid untouched nature. Mooserstegle can be found in Sölden's silent part: ascenic Waalweg water trail traveling along the former irrigation ditches which used to provide water for the valley's meadows. Hike along the Old Trail into Windachtal valley, great vistas of the deep Windacher Ache river gorge. Here you can admire the power of mountain waters over the last centuries, deeply engraved on rocks and stones. In the upper valley you head towards the brook. The route takes you across a bridge to Mooserstegle footpath, enjoy some moments of rest in the hammocks. Along Mooserstegle you can still see the course of the old irrigation ditch along the mossy slope, a great place for children. 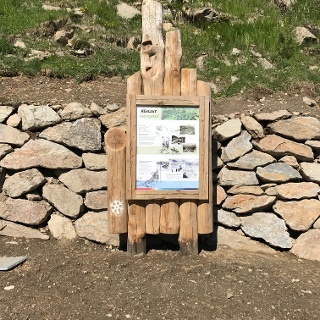 Information boards provide many interesting details about the ancient Alpine meadow watering system. Right opposite the deep green forest you can make out the mighty peaks of Gaislachkogl and Nederkogl. 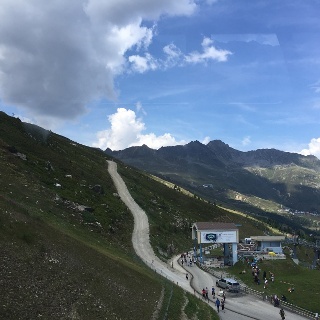 Some parts of the trail offer superb panoramic views. The hike continues past serene and beautiful spots until you reach the BBQ site . Breathe in deeply and let your thoughts wander before you start the descent to the valley.